On the active but petite Main Street where my parents live and where we had our wedding last year, there are a few very special shops that I can’t pass by without at least a peek inside. I’ve had it on my to-do list for a while to highlight a few of these charming businesses. 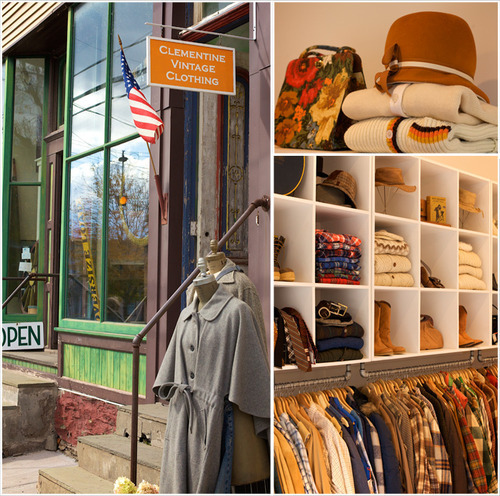 This bright and sunny vintage boutique is located at 7 Main Street in Andes, New York in the Catskill region. They are open Saturdays, Sundays and holiday Mondays from 10AM to 6PM. 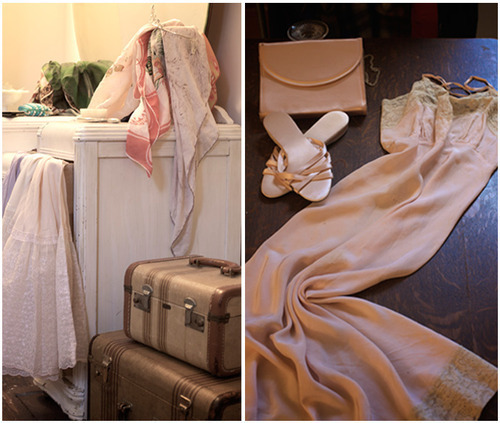 This beautiful collection changes seasonally and new pieces show up every week. With pieces ranging from $25 to $75, and accessories as low as $5, this little vintage corner store is a great place to pick up a perfect condition piece without second guessing the price. 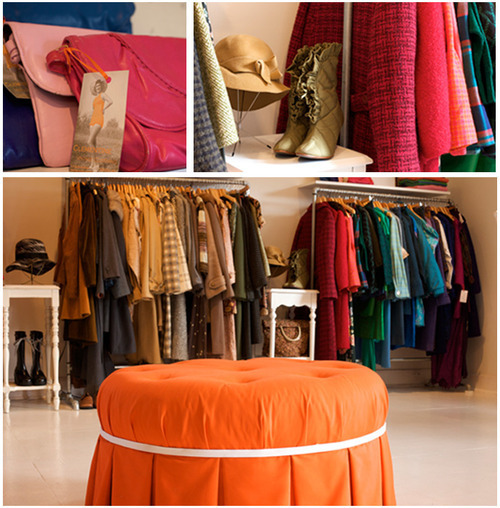 Clementine also carries children’s clothing (0-14), men’s apparel, lingerie, and home furnishings.